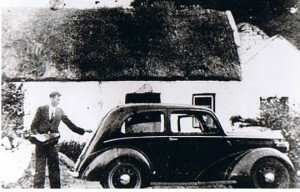 Bruach na Carraige was established as a cultural and heritage centre developed by the community, for the community and run by a voluntary community committee. Bruach na Carraige offers a space where Irish music, culture and traditions may be celebrated, expressed and shared authentically in the Sliabh Luachra style. 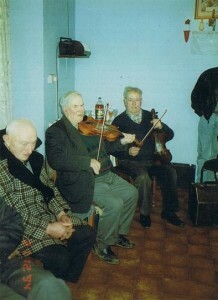 Originally, Rockchapel Comhaltas provided the inspiration for a ‘teach cheoil’ in the area which would serve not only as a concert venue to promote the wealth of music and culture in Rockchapel itself, but also as a centre of excellence for Irish traditional music in Sliabh Luachra and Ireland as a whole. 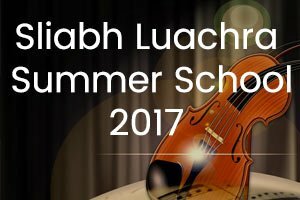 Bruach na Carraige was the first project in the region to realise the potential that Sliabh Luachra music and traditions of times past could have on the present in the region. 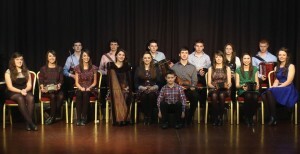 The development of the auditorium and interpretative centre is recognised at nationally and internationally as a centre of excellence for Sliabh Luachra traditions, regional history and most of all live performances by its’ young and enthusiastic group, Ceoltóirí Sliabh Luachra. 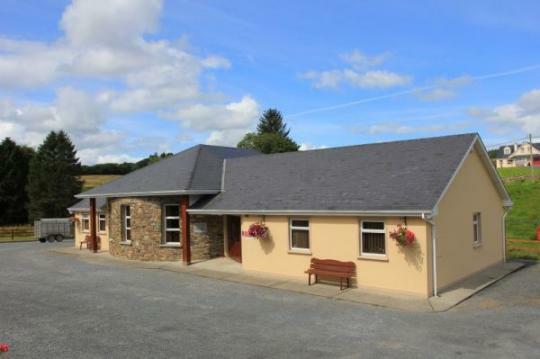 Bruach na Carraige was established in 1998 and with the assistance of the EU LEADER Programme for Rural Develpment, the centre was built. The official opening was held on the 10th of June 1999 by President Mary McAleese. Following further extensions to the building, it is now capable of holding 120 people for events such as concerts, lectures, classes and workshops. Bruach na Carraige has an interpretative and educational space with a reference archive which facilitates study of traditional Irish music, culture and history, both regional and national, in particular. The organisation of the archive was facilitated through funding from the Heritage Council.